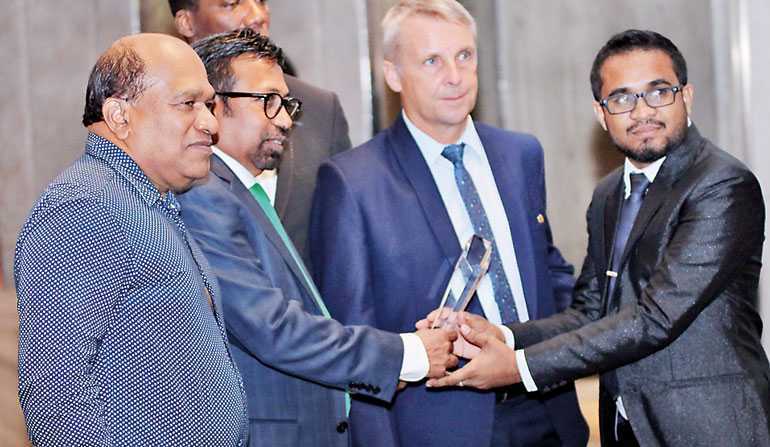 The new Signia Styletto receiver-in-the-canal (RIC) hearing aid was introduced recently where Sri Lanka was given the honour of being the first Asian country to launch this product. Organised together with hearing systems Signia (Siemens) from Germany, the world leader of the hearing industry and Wickaramarachchi Hearing Care, the pioneers in the hearing industry in Sri Lanka, the event was graced by the presence of German Ambassador John Rodhe and attended by many of the distinguished ENT surgeons and few neurologists in the country. After a short presentation by Siemens Signia Audiologist Matt who wowed the audience with the product, the night was carried on with entertainment and music by world renowned musician Sam Paris who also compèred the event. Why should a hearing aid look like a hearing aid? That’s the question Sivantos engineers asked themselves while designing this hearing aid. Styletto is a rechargeable SLIM RIC that features a contemporary design and breaks the mould of traditional looking behind-the-ear (BTE) hearing aids. This has a lithium- ion battery technology through which Signia Siemens is staying true to its new rechargeable hearing aid trend. By not conforming to the traditional size and shape of a button cell, Styletto has lived up to the promise of a stylish sleek modern looking hearing aid. The new RIC hearing aid Styletto, also uses the ‘Signia Nx platform with Own Voice Processing’ (OVP), which also comes with an extremely small charger that offers fast charging solutions as well as three full charges on the go. The world’s first SLIM-RIC hearwear has truly combined style with high-technology hearing performance powered by Signia Nx and has entered the global market with a Big Bang impressing even the sceptic consumers.